Will Apple fill secret WWDC sessions with Siri API, Apple TV apps, Facebook or something else? There are at least three dozen sessions marked ‘to be announced’ on Apple’s WWDC schedule. Many of them are positioned in the largest room, one normally dedicated to the keynote address. Whatever is being announced at WWDC, a huge amount of programming has been planned and rehearsed for it. I got a lot of replies that suggested both new iCloud support and Apple TV apps could also take up space in that schedule. The Apple TV apps comments far outweighed the others. Today, John Gruber of Daring Fireball posted up his thoughts on what could be being announced at WWDC that would warrant such massive attention. He also counted 43 sessions, though it’s difficult to get an exact amount, as they are unmarked. Regardless, that’s a remarkably high number of sessions, especially in the largest room in the house, normally reserved for just the biggest crowds. Gruber posits that the Apple TV could be getting an App Store, which would account for these big session numbers. As Gruber mentions, BGR also reported earlier today that we’d be seeing a new version of the Apple TV OS at WWDC. I have a few other thoughts about what could be filling those rooms, some based on speculation and others based on months of whispers. Let’s take a look. 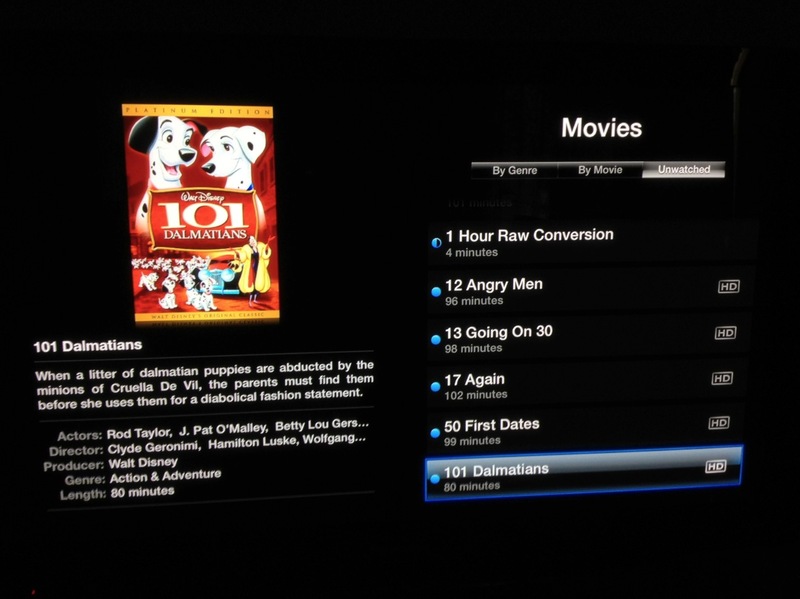 The current Apple TV OS is a bit of a mess. 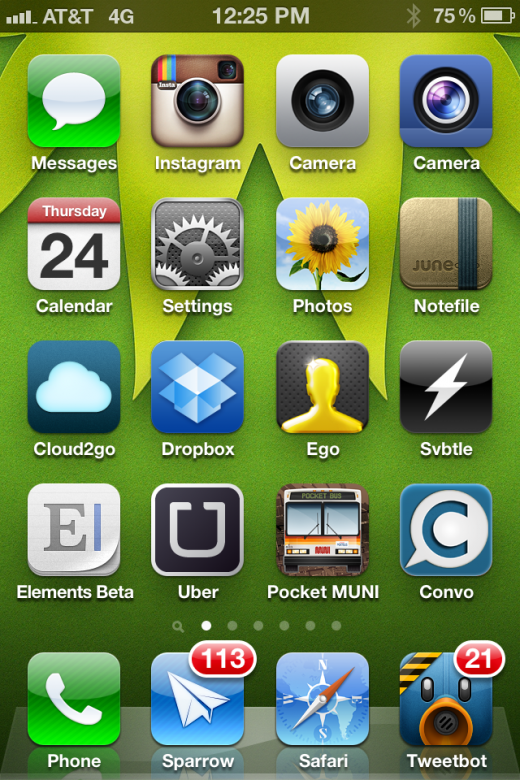 It’s got a hybrid look that mixes last generation’s ‘list views’ with the last update’s ‘app icon’ home screen. I don’t necessarily think it’s terrible, but it’s…incoherent. I wrote about this a bit back in March, after a discussion was sparked by an ex-Apple TV software engineer said that Jobs ‘hated’ the look of the update. At that time I noted that the update’s main view was a clear move towards direct touch control, rather than proxy control via a ‘blank’ remote screen. This is why it’s inevitable that Apple will move to a full-on direct touch control method for the Apple TV, likely at some point fairly soon. You won’t be flicking your fingers around on a blank grey screen like the current Apple Remote app, you’ll be touching the icons for TV Shows, Movies, Netflix and more right on the screen, and they’ll look pretty much the same as they do right on your TV. Instead, I felt that Apple would alter the look of their Remote app for iOS devices to emulate the display on screen, allowing you to directly touch and control your ‘apps’ and media on the screen. A dedicated physical remote of some sort isn’t out of the question either, as not everyone who could potentially own a standalone Apple TV or even the existing box would necessarily have an iPhone or iPad. 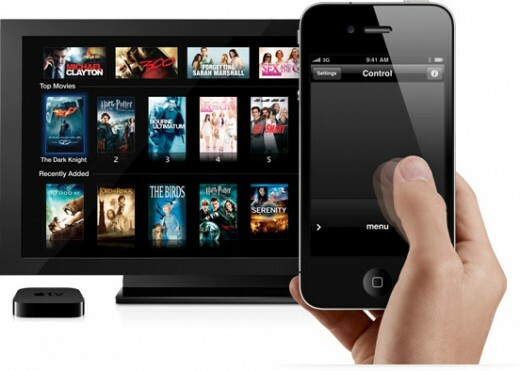 There is also the matter that many other areas of the Apple TV OS feel underdeveloped. The list of media that you can browse from your own computer library, for instance, is incredibly inconvenient. It presents your movies and TV shows as a plain list sortable only by three criteria and makes navigating your library almost impossible once it grows to any decent size. Something has to be done about it and the rest of the interface behind the glossy ‘app-like’ front end. So I wouldn’t be surprised at all to see a revamp of it at WWDC. Part of that would be delivering a truly unique and approachable control scheme, to be sure. But two other components would be needed to make something 100% better than what we’re used to seeing TVs be. Second, it would need to give people an ecosystem that was already rich with reasons to adopt it. This is a huge part of the success of the iPad and iPhone. The original iPhone got by on its completely unique interface and form factor, but now that there are hundreds of Android phones to choose from, people often make the choice to go with Apple because of the enormous choice in well-designed apps. If the Apple TV would stand out from the crowd, it feels like a necessity for it to have an ecosystem of apps that attracts not only current Apple users, but those in the market for a new TV. Apple introducing an App Store for the Apple TV now, in advance of the introduction of an Apple Television — perhaps later this year — allows it to turn loose its immense ecosystem of developers on the problem. This would let Apple’s hardware shine with an array of beautiful apps right from day one. So, Apple needs a good control scheme, that’s on it to deliver. It also needs content, also done at the executive level. But it also needs apps, and to deliver those it needs an App Store, developer tools and developers proficient in those tools. And, of course, sessions at WWDC to teach its developers about those tools. Just a couple of months after last year’s WWDC, we started hearing rumors that the voice control system that would be launched with the iPhone 4S would also be getting an API for developers. Specifically, a timeline of 12-14 months was mentioned. That didn’t happen at the launch of the iPhone in October, but we didn’t expect it then. Now, here we are just under 12 months later and Apple has a bunch of sessions to fill at WWDC. While I’ve heard nothing recently about a Siri API, both John Gruber and MG Seigler have commented on some ‘whispers’ of the possibility recently. It surely makes sense to announce a Siri API at WWDC rather than along with the introduction of the new iPhone later this year. 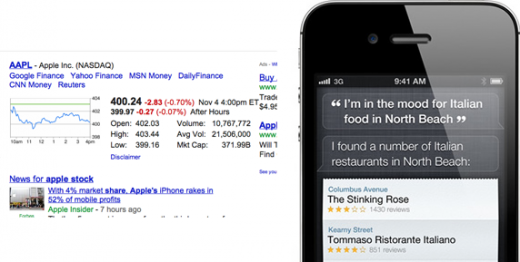 Siri launched with two content partners, Yelp and Wolfram Alpha, delivering results from those partners directly. If you ask Siri for a restaurant nearby, you aren’t taken to a Google results page with restaurants by location, instead you’re provided with a simple list based on your query that contains information and star ratings provided by Yelp. This behavior is the exact same manner in which Google behaves if it ‘thinks’ it can give you a direct answer to your query rather than directing to you a page on another site that contains the answer. What I hear is that Apple is out to crush Android with this year’s updates to the iPhone and even perhaps a 7″-ish iPad, which has still not been confirmed for release. The disintermediation of Google by Siri wasn’t by chance. Imagine a deal with ESPN for sports scoring or fantasy points, or a tie in with Fandango so that Siri can read you off the movie times at a requested theater. Apple may add hooks that it can use to pull information store inside the iCloud data uploaded by an app, grabbing your list of action items from Omnifocus or having it read recent messages from an IM client. Whatever form it takes, if an API isn’t announced at WWDC, it would likely be another year before we saw it, and that feels like too long. Facebook integration in iOS is one of those things that feels 100% inevitable. Evidence of its integration has been found in pre-release iOS software before, but Twitter ended up scoring this prime real-estate first. Yesterday he even said to ‘stay tuned‘ when talking about them working together. Frankly, who is there that doesn’t expect this to happen? The disagreements between Apple and Facebook over the use of the API for Ping sharing feels like ancient history, it’s time to move on. And there has been other recent evidence of Apple’s mended relationship with Facebook. Facebook’s camera app was given the first Editor’s Choice award ever on the App Store when it was released last week. In addition, it was allowed to ship with an icon that looks startlingly similar to Apple’s own camera icon and displays on home screens with its name reading simply ‘Camera’. I haven’t seen any other camera apps do this. I really don’t think that this would have flown for a company that had some sort of combative, or even neutral, relationship with Apple. Facebook integration is coming, and soon. I wouldn’t bet against it for WWDC. One other major possibility is the allowance of more interoperability between applications. A cross-communication framework that allowed apps to act more like the web and less like isolated silos, for instance. iOS is maturing, and apps are coming along with it. That frisson that occurs when you use two slick web properties together, like Ifttt and Twitter for instance, is more difficult to produce in a native app environment, but it doesn’t mean that it is impossible. In fact, the layer for this kind of sharing and interaction already exists with the cloud. Admittedly, tools will need to be built and provided to developers in order to leverage the cloud in a way that could approximate the freedom of the web, but it’s not impossible. It’s not strange to imagine a system that will allow you to quickly tap on a link in one app that launches it in another, allowing you to bring along data you may have been working with. This kind of system could use iCloud to a degree, but it would also need a framework within iOS to allow it natively. Much in the spirit of Windows 8’s Contracts or Android’s Intents. All of these conjectures, of course, would have to fit in alongside other stuff that we expect to see at WWDC. There will likely be new APIs for handling Apple’s new mapping solution featured in iOS 6. Additionally, there is likely to be some additional iCloud APIs and documentation, some of which is already on the WWDC schedule. There may also be third-party widgets for notification center. There will absolutely be some stuff surrounding Apple’s Mountain Lion OS. All told, it’s looking like an action-packed WWDC for developer attendees, one that may find them being torn deciding just which sessions to attend. Lets hope Apple gets those session videos up fast, like they did last year. Follow our latest WWDC coverage here. Read next: Goodbye @CBM, you'll be missed.